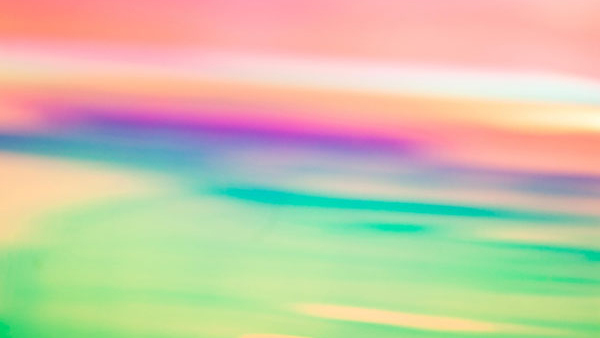 Last Friday, LEVEY celebrated the unveiling of the King Street Causeway after contributing 3M Dichroic Architectural Film for use in the construction of IBI Group’s inspirational and winning design. 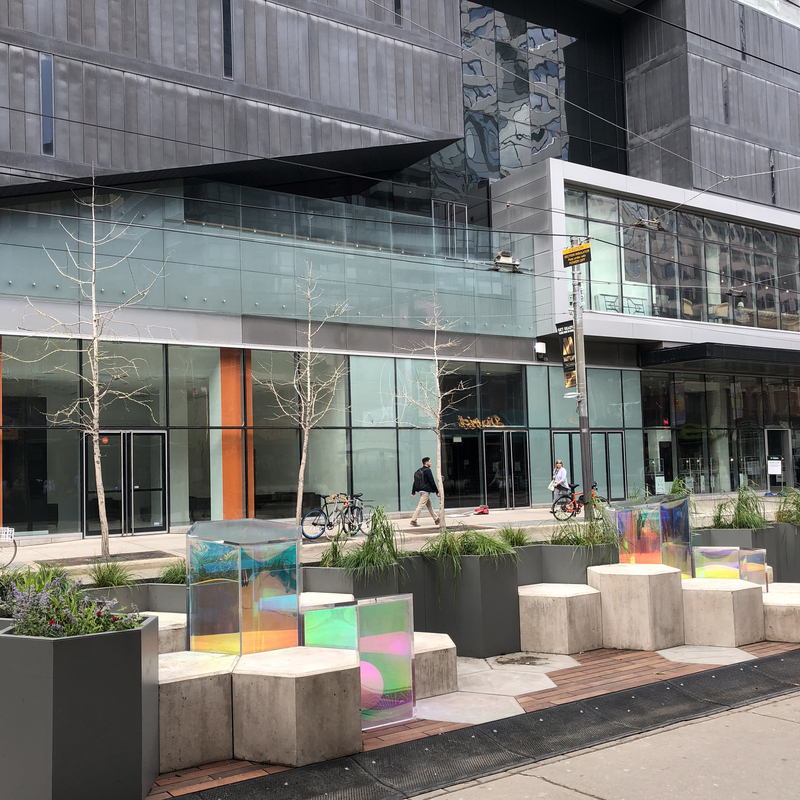 Located just west of the King and John intersection, in front of the TIFF Bell Lightbox you’ll find the King Street Causeway – a destination parklet designed by a team of architects and designers at IBI Group. 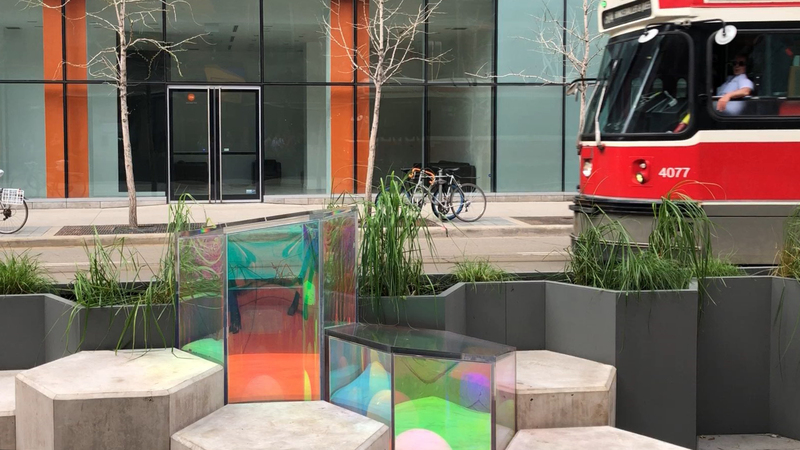 This unique parklet is the result of the King Street Pilot Project, launched by the City of Toronto with the intent of creating a series of visually appealing curb lane public spaces for the public’s recreation. 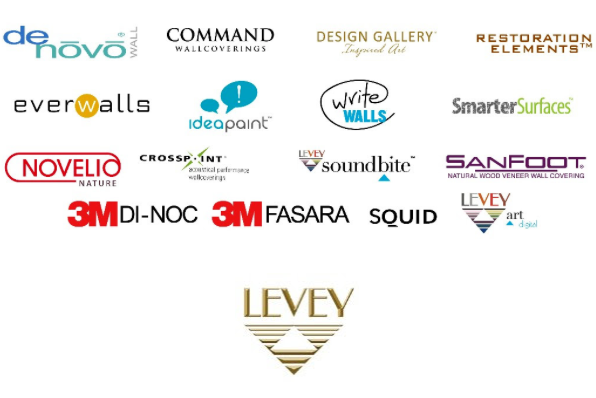 IBI Group worked with LEVEY as authorized national distributor of 3M Architectural products to contribute the specific architectural film needed for the creation of an important visual element in the parklet design. 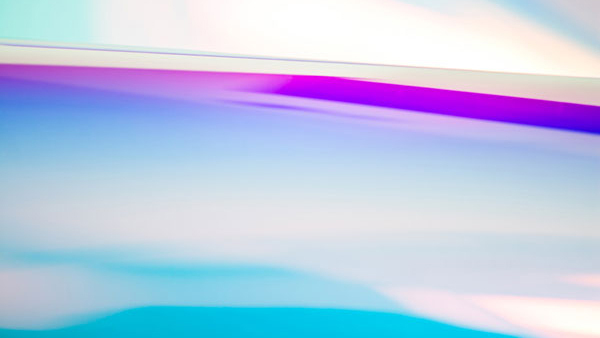 3M DiChroic Architectural Film in the shades Chill and Blaze supplied by LEVEY were laminated and then sandwiched between layers of acrylic provided for added outdoor durability. 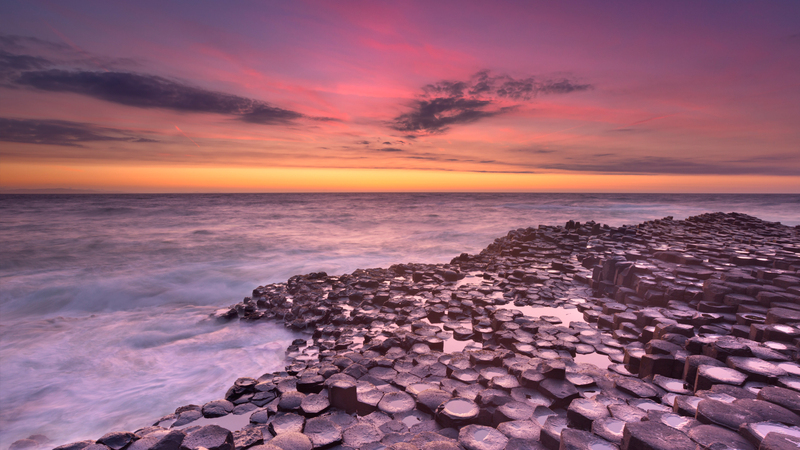 This was ultimately fashioned into hexagonal beacons with dichroic and lifelike movement qualities during the day as well as at night when illuminated by a network of hidden LED light sources. 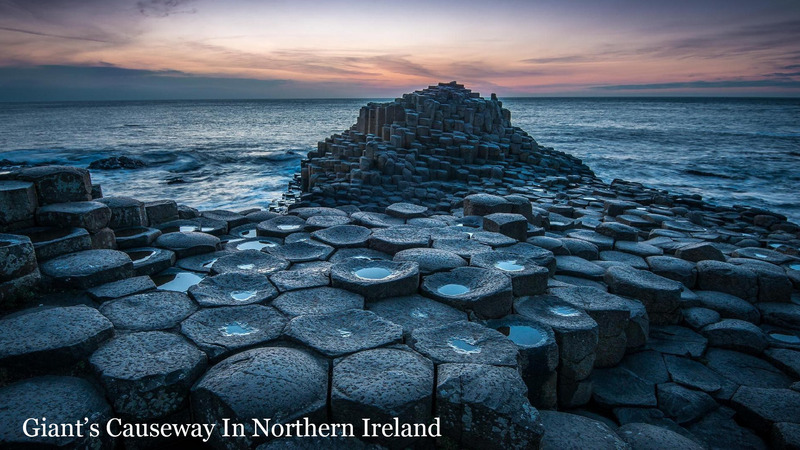 Drawing inspiration from the interlocking hexagonal basalt columns on the coast of Northern Ireland caused by ancient volcanic fissure eruptions, the King Street Causeway is comprised of a multitude of hexagonal components at varying heights. 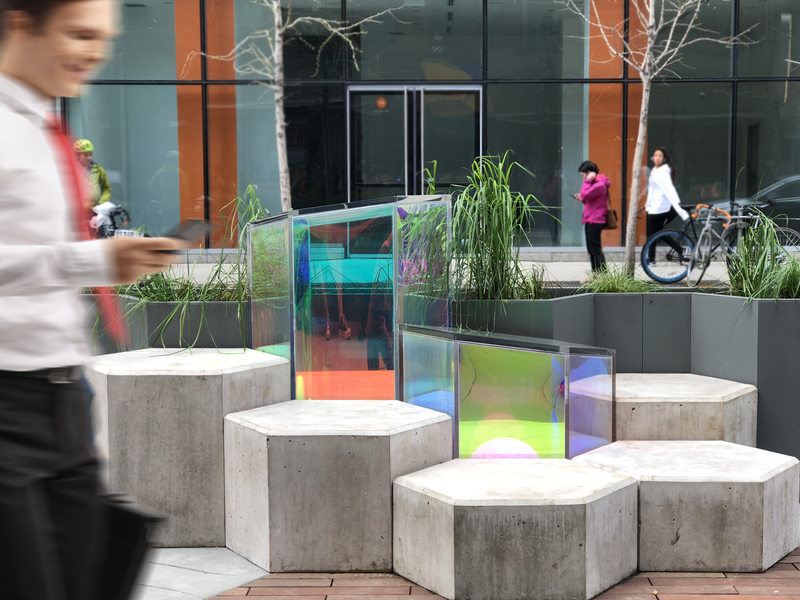 These carefully thought out hexagonal elements serve as multifunctional vessels to be used as footrests, seats, and tables with the intention of becoming a gathering point in the city’s entertainment district for locals and visitor’s alike. 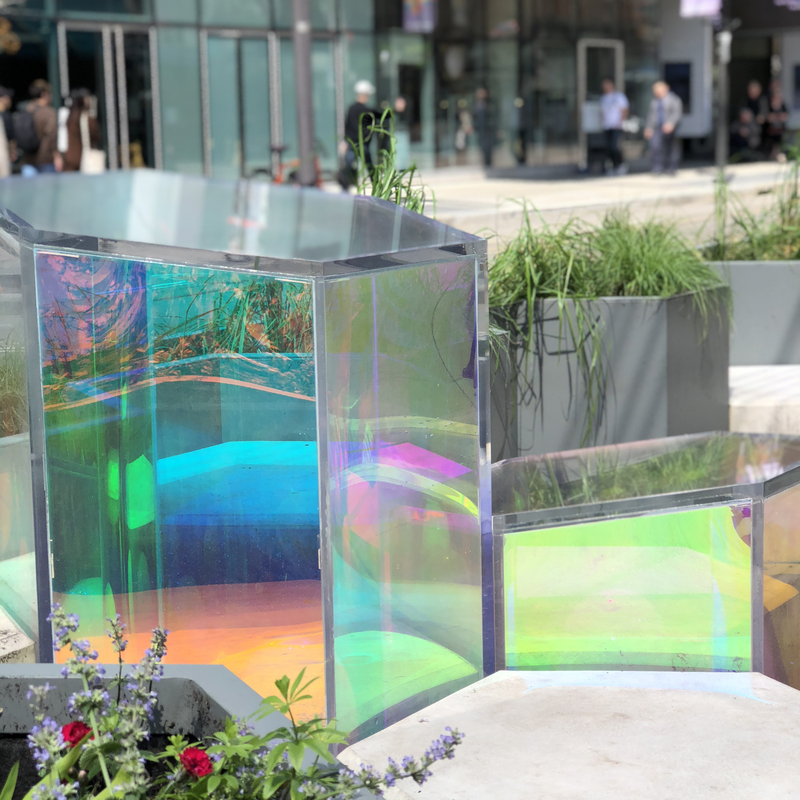 Accented by hexagonal beacons that illuminate in the evening and feature dichroic qualities that portray the colours of a sunset by way of architectural film provided by LEVEY, the King Street Causeway becomes an ambient gathering point that appeals to Toronto’s vibrant nightlife.